The CMOS technology are has quickly grown calling for a new text---and here it is covering the analysis and design of CMOS integrated circuits that practicing engineers need to master to succeed. Filled with many examples and chapter-ending problems the book not only describes the thought process behind each circuit topology but also considers the rationale behind each modification. 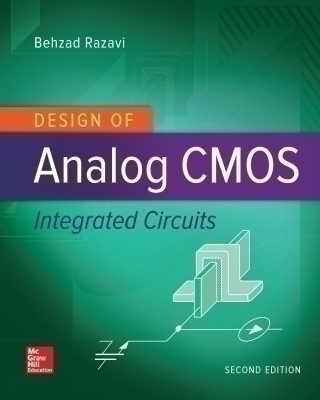 The analysis and design techniques focus on CMOS circuits but also apply to other IC technologies.Design of Analog CMOS Integrated Circuits deals with the analysis and design of analog CMOS integrated circuits emphasizing recent technological developments and design paradigms that students and practicing engineers need to master to succeed in today's industry. Based on the author's teaching and research experience in the past ten years the text follows three general principles: (1) Motivate the reader by describing the significance and application of each idea with real-world problems; (2) Force the reader to look at concepts from an intuitive point of view preparing him/her for more complex problems; (3) Complement the intuition by rigorous analysis confirming the results obtained by the intuitive yet rough approach.